In this page, I will introduce to make c module using distutils. The method to use distutils is more simple than VS version. Firstly, we have to make setup.py file like this. 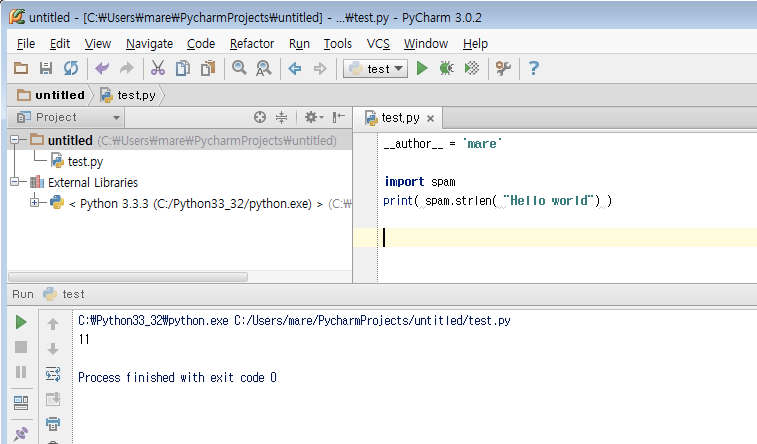 type "python setup.py install" on the command line. 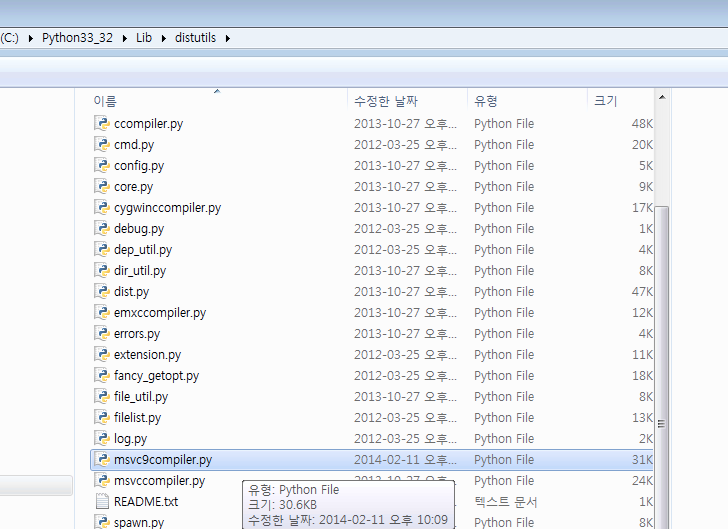 Note, python.exe, setup.py, spammodule.c is placed in same folder. If you meet "unable to find vcvarsall.bat" error, dont be worry, 't is not serious error. I also meet this error and solve. 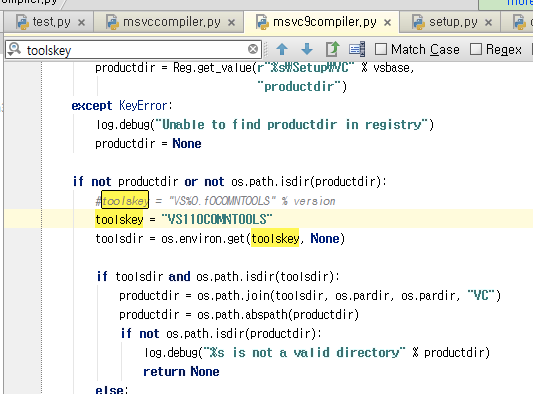 The problem is occurred python find vs 9.0 version even though my computer installed vs 11.
and modify code like figure. I solved this error by second method.